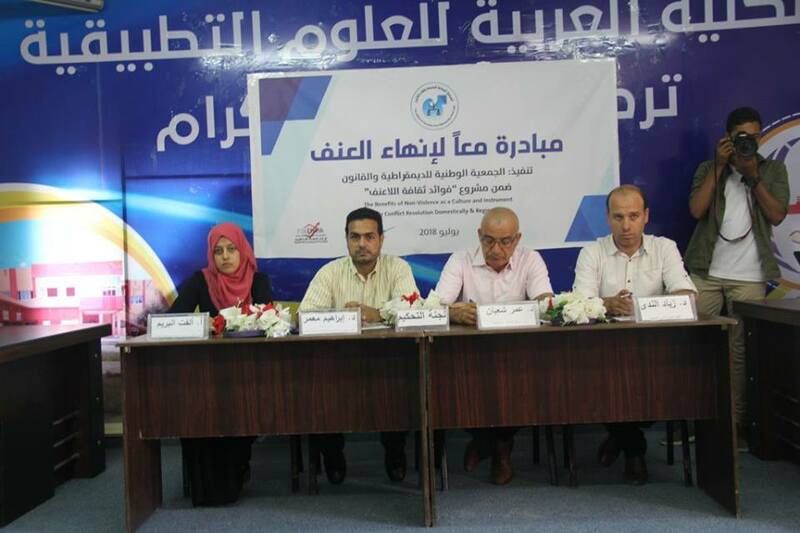 National Society for Democracy and Law (NSDL) closed the activities of ” Unite to end violence” initiative in Rafah city. 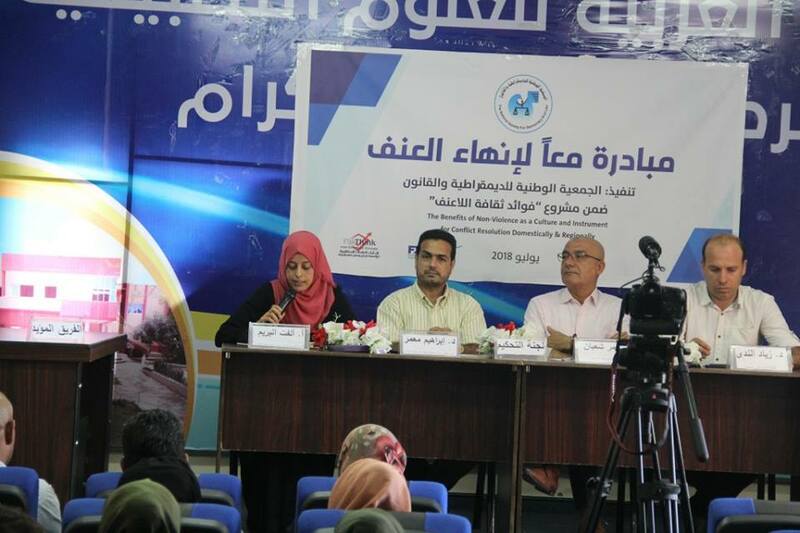 In cooperation with Palthink for strategic studies and Arab college of applied science, National Society for Democracy and Law (NSDL) conducted the closing ceremony of ” Unite to end violence” initiative in Rafah city. 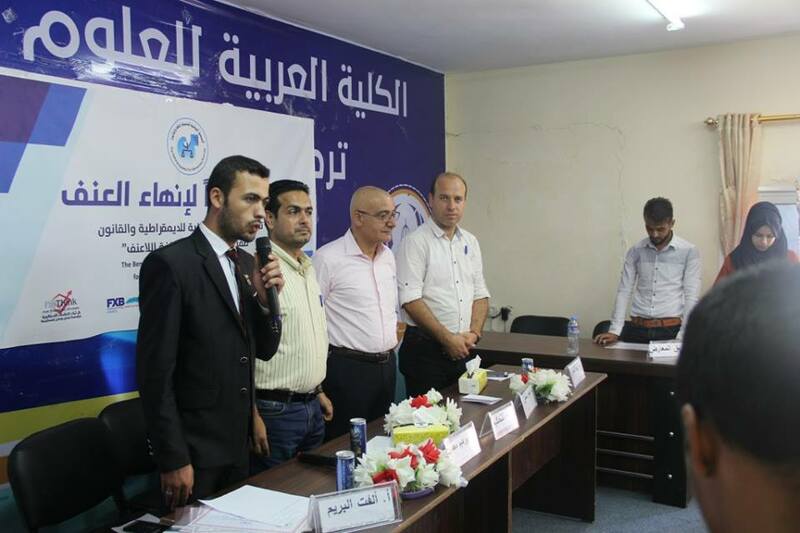 The manager of Palthink, Mr. Omar Shaaban, the chairman of NSDL, Dr. Ibrahim Muammar, head of project department in the Arab college of applied science, Dr. Ziad Alnada and a number of social, legal and media figures as well as a group of female and male students from the Arab college of applied science attended. The initiative coordinator, lawyer Belal Al Najar opened the ceremony, welcoming the guests and the attendees and emphasizing on the importance of implementing such initiatives. He stressed that this would develop youth’s capacities and skills in the fields of ending violence, promoting tolerance and disseminating the concepts of democracy and human rights. After that, Dr. Ziad Al nada started his speech upon the desperate need for the cooperation between the Arab college and the CBOs, since this would improve young people’s abilities and contribute in involving them within the NGOs and CBOs. He thanked NSDL for choosing the Arab college to implement the initiative activities in and he thanked Palthink for supporting and funding this initiative. Mr. Omar Shaaban then explained the nature of “culture of non-violence” project, under which these initiative were implemented. Moreover, he talked about the project achievements, activities and events, which had been implemented. He emphasized on the importance of continuing implementing such activities and targeting young people in Rafah, for it is kind of a conservative city. 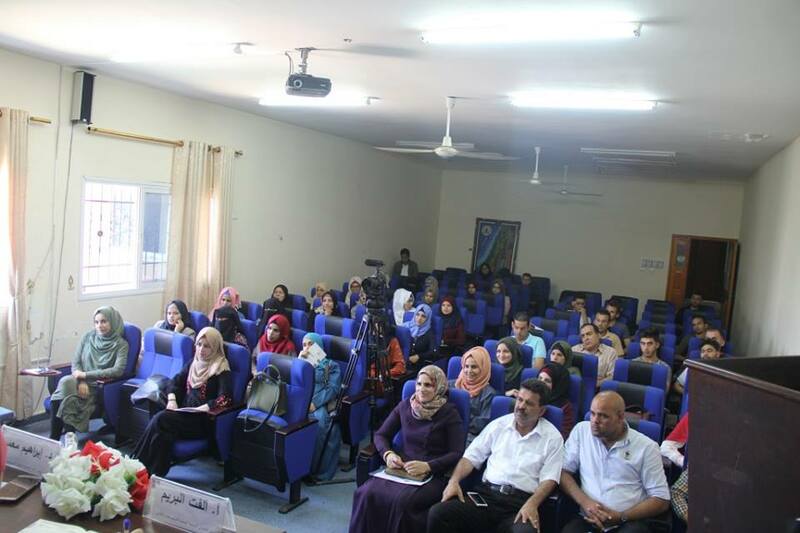 Ms. Olfat Elbream, the executive director of NSDL, talked about the initiative and the activities implemented through the debate, in order to promote the culture of non-violence in Rafah city, such as the training, posters, murals and presentations. Not to mention that they should focus on young people. She mentioned that focusing on young people is a major goal of the NSDL general strategy, since they are the most effective category and they are the change makers. The debate, which simulated the reality of community violence, was presented and started by a questionable statement ” The council considers that the reason underlying community violence in the Gaza Strip is the difficult economic situation”. After the debate had finished, each member of the two teams ” the pros and cons” was given a financial reward. The trainees of the “the mechanisms of reducing community violence” training were awarded with certificates. 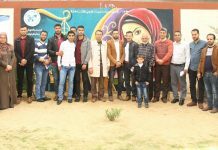 At the end of the ceremony, the mural which had been drawn through implementing the initiative was opened in the campus of Arab college for applied science. The mural was so expressive. It portrayed a community with much love and without any form of violence. 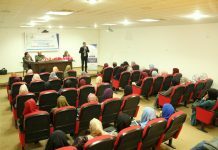 The attendees expressed their pleasure of implementing such initiatives and activities, for they contribute to disseminating democracy and human rights as well as reducing violence phenomena in the Palestinian society, particularly in Rafah city. 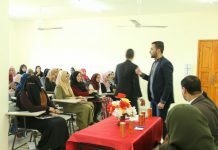 They called for more activities and events that would promote youth’s abilities in order to combat all forms of violence in the Palestinian society and have a peaceful community. 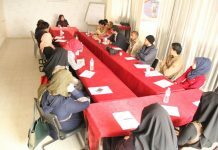 Previous articleIn cooperation with Save Youth Future Society, National Society for Democracy and Law (NSDL) conducted an awareness workshop on reproductive health and chronic diseases.